Ever noticed that around the same time each year, similar events seem to come back around? It’s as if you get a second chance. Each time these situations come full circle, it’s another opportunity see how you handled it last time and to make a better informed decision this time around. 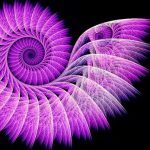 With each positive step outside the circle, we create an expanding spiral. Rather than looping around and around the same old path– the same decisions, we can liberate ourselves from those old habits. We can continue to grow out and expand into new and exciting paths. As we repeat the same thinking patterns, the same habits and ways of life we create a deeper and deeper groove with every repetition. Each time we repeat the same thing is becomes more difficult to pull ourselves out of the rut we’ve dug for ourselves. But there are new opportunities everyday to choose different, more enlightening paths. How can you make a change to expand the cycle of your life? As we find we are on the right path we see signs, we meet people on a similar life journey. Look for these signs. Notice the people around you: where are they and where are they headed. These are all clues as to where you are along life’s journey. Here is a great explanation by Wikipedia.